SEPTA buses have lost a significant amount of riders in the last five years, even as ridership of the agency’s rail cars remains consistent, leading officials to consider an overhaul the bus network to allure more passengers. One possible change? Nixing those $1 transfer fees. Officials have found that the fees, which are fairly antiquated compared to other major cities' public transportation systems, can deter riders from taking multiple buses during their journeys. An end to the charge is being considered in the hope to encourage people to take multiple buses at no extra cost. 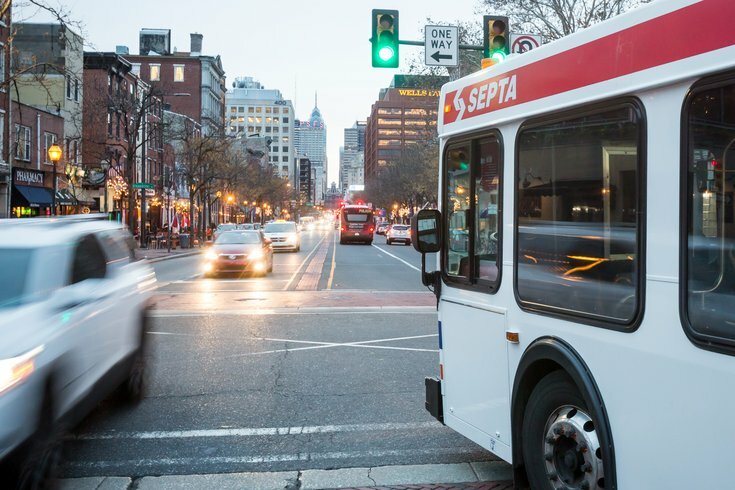 If successful, an increase in bus transfer ridership could help SEPTA map more efficient routes and identify which bus routes don’t get enough riders to continue operating. According to PlanPhilly, SEPTA bus ridership has fallen by 17 percent over the last five years, decreasing steadily since its peak ridership of 189 million trips in 2012. In 2017, trips had fallen to 156.2 million. SEPTA reportedly has tapped transit consultant Jarrett Walker, whose previous work includes guiding bus transit in Houston, Baltimore, and Indianapolis, for insight. Though SEPTA is not ready to unveil Walker’s report, the consultant did give SEPTA the greenlight for a bus system overhaul. In addition to the fee change, it is also likely that SEPTA will push to offer more weekend and night service. Further considerations for the bus system will really get underway this summer, when the agency starts recruiting more planning consultants to help outline the bus remapping process, which could take up to three years. SEPTA hopes to begin work on remapping in early 2019. The decline of bus riders isn’t specific to Philadelphia, however. Last year Citylab reported bus ridership has been hit in almost every major city as the economy improves (and people are more willing to pay up for the cost of gas and parking) and as ride-share apps battle to become more desirable alternatives to taking the bus.